Every now and then a Japanese company will come out with a new flavor that lights up the internet, especially in the West. Burger King’s Black Burger is a great example, as well as the recently rereleased Pepsi Pink. Lots of new seasonal flavors just came out for Winter, and leading the charge is the new 飲むカントリーマウム, or Hot Drinkable Cookie from Country Ma’am. Country Ma’am is a well-known cookie manufacturer, with their soft-baked chocolate chip cookies on shelves across the country. There’s a variety of flavors available, but the flagship is “Vanilla” a classic chewy chocolate chip cookie. The new drink is made from the same ingredients as the cookies, so it’s sort of like drinking a thin, hot cookie batter. That may sound strange, but it totally works. Think cocoa, but cookie flavored. It’s kind of genius, right? I had my doubts, but I think it’s great. It adds a nice variety to the usual hot beverage line up, like last year’s Hot Ginger Ale. I was a bit surprised by the cookie chunks in the bottom, but it’s actually a nice reminder that this is not just a vanilla cocoa. It’s like you’ve been dipping cookies into hot milk, and I’m a fan! What do you think? Would you drink the Hot Cookie? This entry was posted in Food!, Japan and tagged cookie, country ma'am, 飲むカントリーマウム, hot beverage, hot cookie, hot drink, hot water, Japan, life in Japan, only in Japan, tea, winter. Bookmark the permalink. 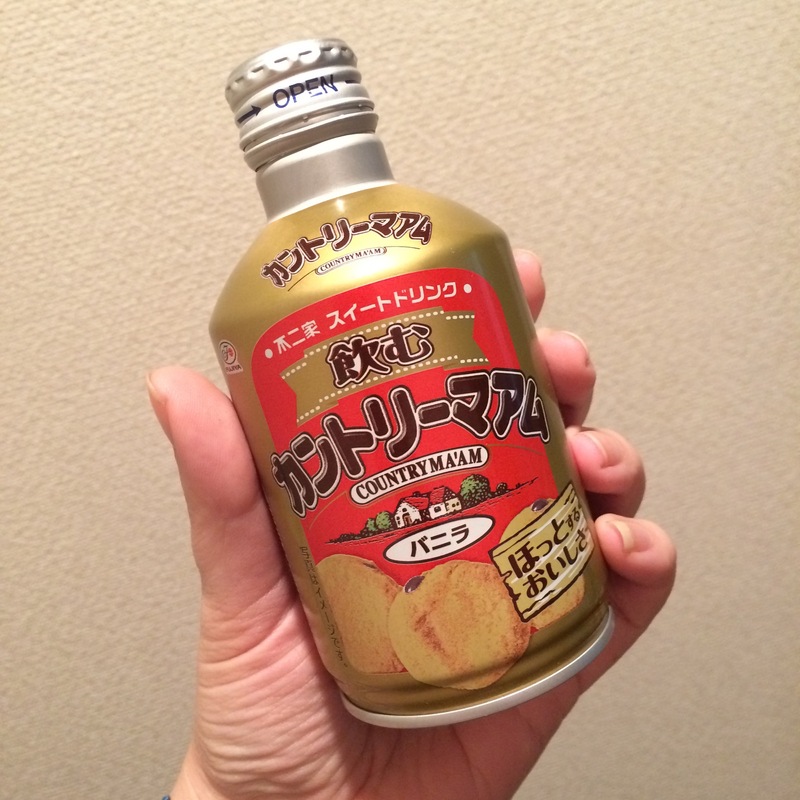 Saw this at the combini today… went “mmmmm want to try but I’ll probably regret it” and passed. I like the cookies, but I think I’ll stick with hot cocoa when it comes to drinking sweets!